Knock, knock! Since turning into a grown-up and moving to suburbia, I’ve noticed my life involves many more drop-in guests. 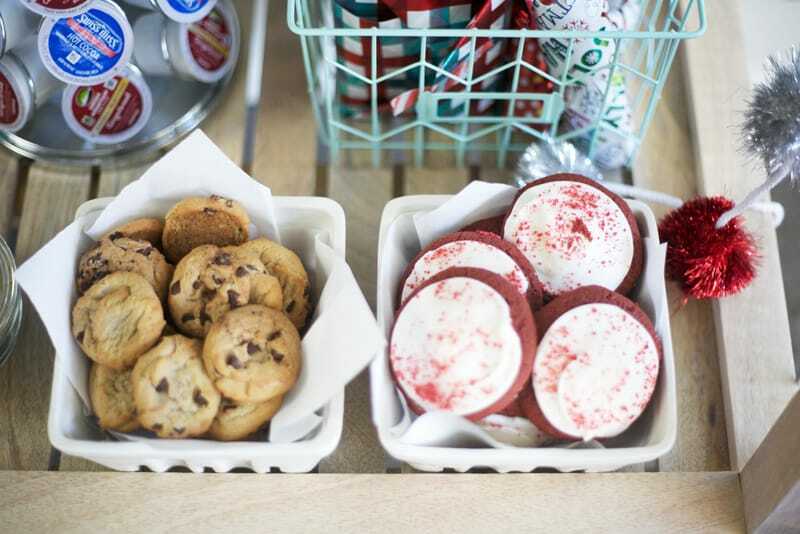 A misplaced piece of mail, a parent escorting my child to my door from a play date, a holiday cookie delivery from a friendly neighbor (ahem, we love Snickerdoodles); my doorbell always seems to ringing. While being prepared for drop-in guests would make me feel like a total success in life, I’ve never been ready. People, this holiday season is going to be different. Enter my new coffee bar. We are all obsessed. While you can pull out some fresh milk and cream to be fancy, the most beautiful part of the coffee cart is that it is totally self-serve. 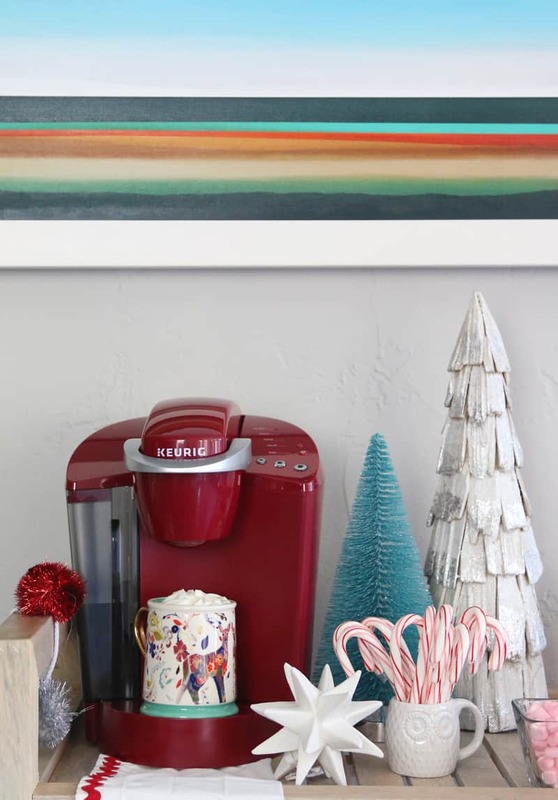 With my Keurig® K55 brewer plus dreamy holiday-inspired K-Cup® pods in flavors like Green Mountain Coffee® Holiday Blend Coffee and Cinnamon Sugar Cookie Coffee, The Original Donut Shop® Holiday Buzz, and even Swiss Miss® Peppermint Hot Cocoa for the non-coffee drinkers, you can let guests help themselves with the touch of a button, while you quickly kick shoes under the sofa. 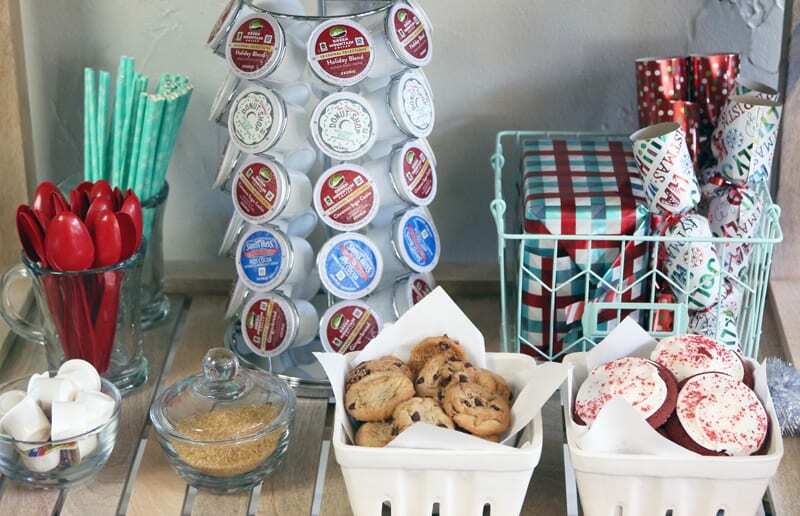 Did you know that you can also get K-Cup® pods delivered through Keurig’s Subscription Service? Have out of town family visiting for the holidays? Everyone can make their own piping hot cup of Fair Trade Certified™ 100% Arabic coffee in hundreds of varieties, any time of day. If you are feeling frisky, you can even set out some brandy to turn an afternoon coffee into a hot toddy. Doesn’t your family seem like more fun already? 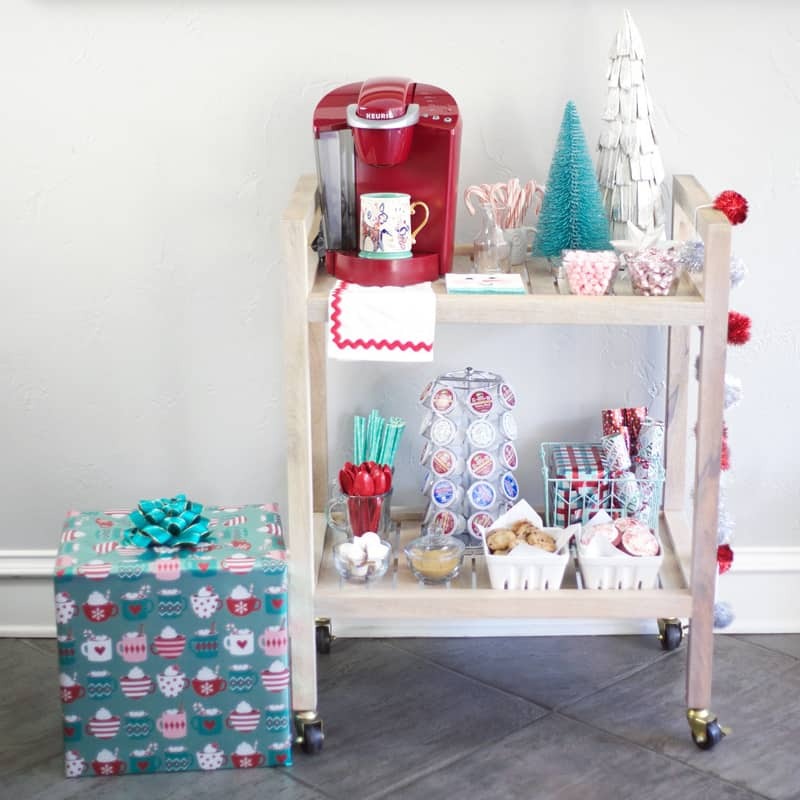 We have our cart dolled up for the holidays with yummy baked things and small gifts for friends but I think the coffee cart might have a permanent home in the kitchen. 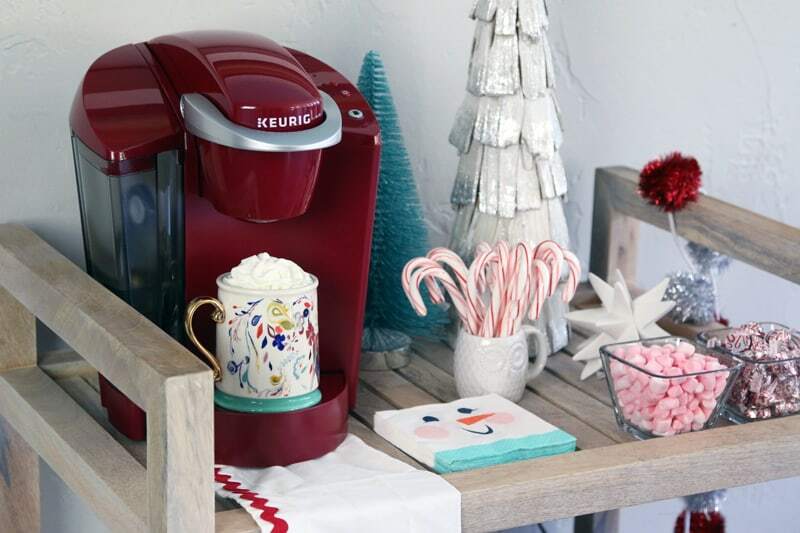 In fact, I can think of a few loved ones who will be getting a Keurig® K55 brewer of their own this holiday season, especially with this festive Rhubarb color. There is something so satisfying about giving a gift that will get used every day. I enjoy knowing that people I love are thinking about me when they take their first sip of coffee in the morning. 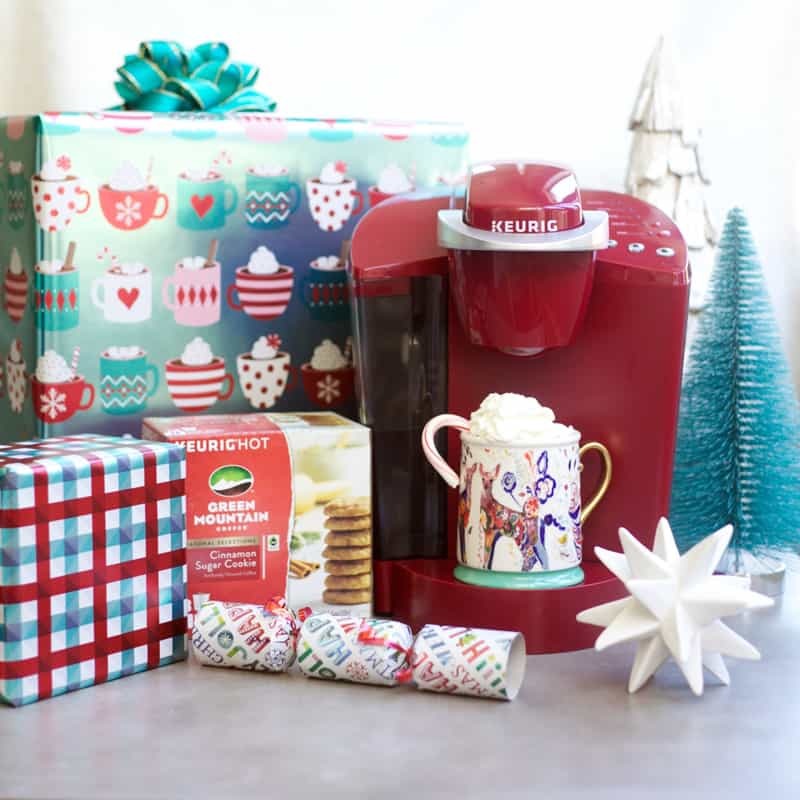 The Keurig Gift Guide is a great place to find the perfect gift for the coffee lover on your list. 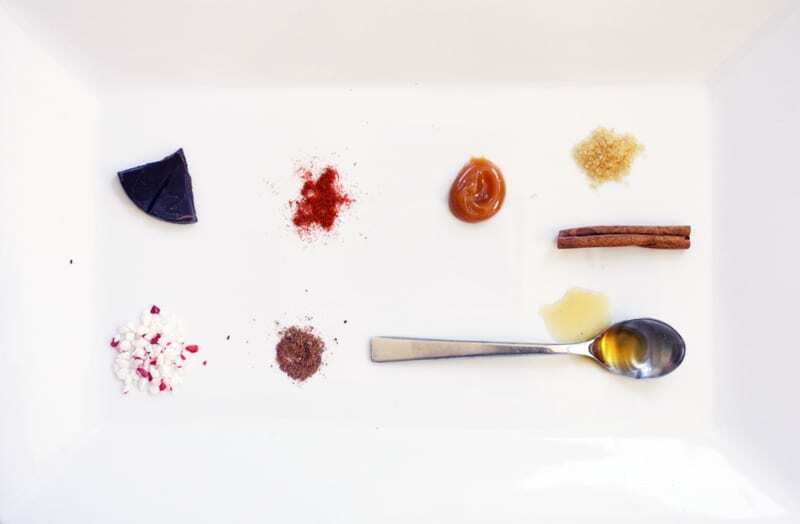 If you really want to make your coffee bar an experience to remember, spice things up with an assortment of mix-ins and toppings like chocolate, chili powder, caramel, raw sugar, cinnamon, crushed candy cane, nutmeg, and Mexican vanilla. 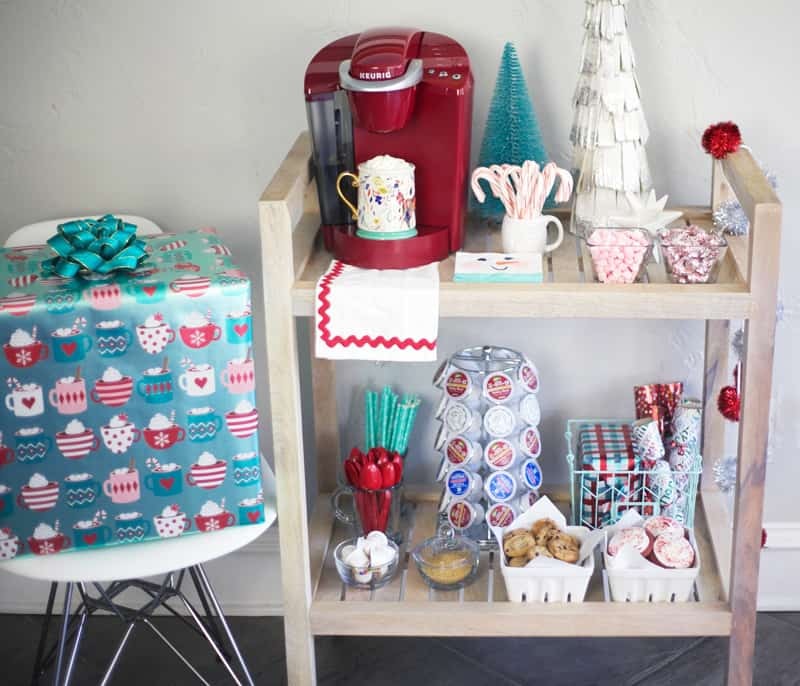 There are endless ways to surprise and delight your coffee-loving guests.